The families of workers from A&P, Falmouth’s ship repair yard, will get a unique opportunity to visit one of the Royal Navy’s most advanced warships this weekend (1-4 February 2007). 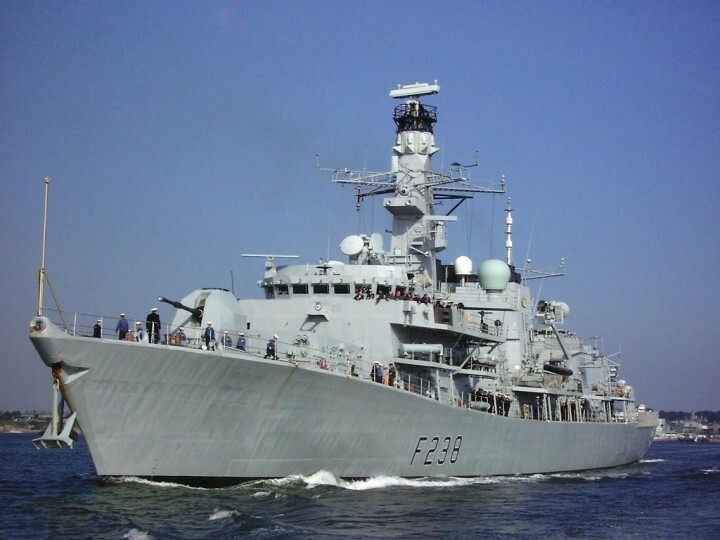 Four thousand tonne Type 23 frigate HMS Montrose will berth in Falmouth docks as part of her ongoing sea and harbour safety training and the A&P visitors will be given a first hand view of a modern, operational warship and a chance to find out more about life on the ocean waves. Under the watchful eye of the Navy’s Flag Officer Sea Training (FOST) staff, every aspect of Montrose’s procedures and behaviours will be marked over the weekend. Montrose’s crew will be judged on their performance handling a real life series of onboard public events, including entertaining local civic dignitaries and hosting an evening presentation, as well as her A&P guests on Sunday – vitally important roles when representing the Crown in overseas ports. 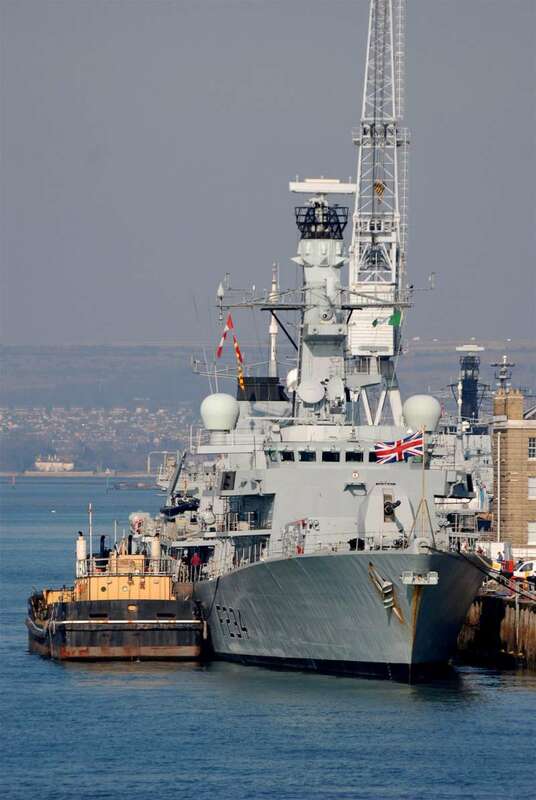 HMS Montrose’s Commanding Officer, Commander Andy Hogben, said: “The Ministry of Defence invests quite a bit of money in Falmouth, and the Royal Navy is a familiar sight in these parts. A&P Falmouth undertakes a variety of maintenance and support work on our ships, and those of the Royal Fleet Auxiliary. We are delighted to be able to thank A&P and its workers in such a practical way and look forward to inviting them onboard on Sunday. “This visit to Falmouth is an essential element of our meticulous preparations before heading to the Gulf Region, and comes on the back of intensive operational training in the south west exercise areas. “The training is designed to test the ship’s company to its limits, both physically and mentally, and prepare us to successfully respond to any situation. We could find ourselves boarding a merchant ship in support of United Nations sanctions or carrying out the evacuation of non-combatant UK citizens from trouble spots. 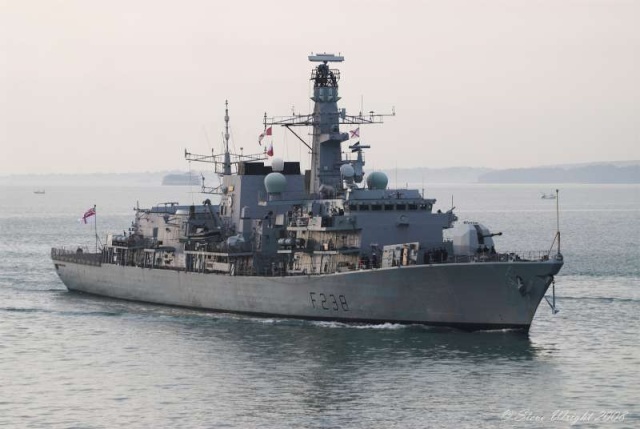 HMS Montrose has recently completed a six week maintenance period in Plymouth, the ship’s homeport and participated in Exercise Neptune Warrior, which is a large multinational maritime exercise conducted around the Scottish coastline. The exercise, run twice a year, aims to train NATO ships, submarines and aircraft in maritime warfare tactics and procedures in a complicated, group level, environment. 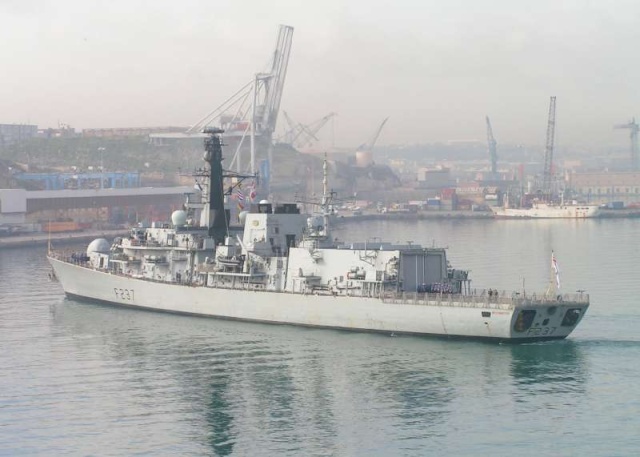 For seven months of last year, HMS Montrose operated in the Mediterranean as the UK’s contribution to the Standing NATO Maritime Group Two (SNMG2). The group consisted of ships from the Navies of Greece, Turkey, Italy, Spain, Germany and the US. The majority of the time was spent conducting Maritime Security Operations with the overall aim to deter, defend, disrupt and protect against terrorism in the Mediterranean. Outside of exercise periods and defence diplomacy visits, units of SNMG2 also participated in the anti terrorism operation, Active Endeavour. This operation is NATO’s longest running operation dating back to the events of September 9 2001 and the only Article Five operation in NATO’s history (attack against one is deemed an attack against all). Powerful and versatile, with the capability to operate anywhere in the world, the Type 23 Frigate is the mainstay of the modern surface fleet. The 13 Type 23 frigates form 50% of the total Frigate/Destroyer force in the Royal Navy. Originally designed for the principal task of anti-submarine warfare, they have evolved into multi-purpose ships with the capability to operate anywhere in the world. The effectiveness of these ships is enhanced by their stealth design, which reduces their radar signature significantly. In addition to the war-fighting roles described above, the ship is trained to conduct a wide range of other tasks. These include embargo operations using boarding teams inserted from the ship's boats or helicopter, disaster relief work and surveillance operations. 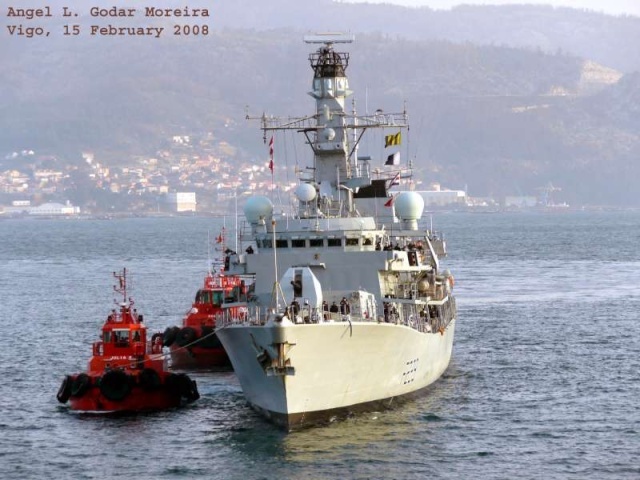 The Isle of Portland will receive a special visitor this weekend (14-18 February 2008) as her namesake Royal Navy frigate HMS Portland sails in for a visit. 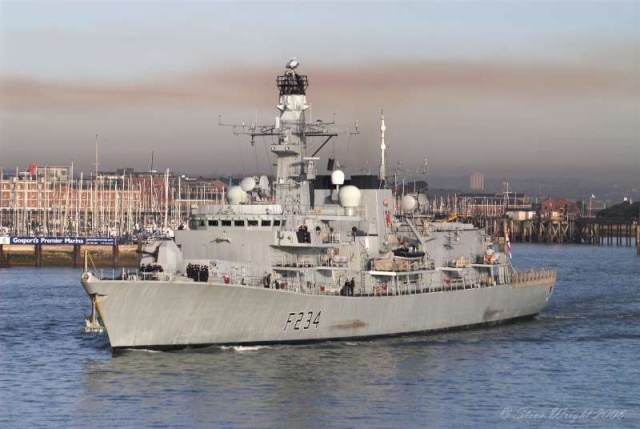 The 4,800 tonne Type 23 frigate will use the visit to help reaffirm the already strong links between the ship and her affiliated towns of Weymouth and Portland, which she first visited in June 2001. It was during her first visit that the Earl of Portland gave his blessing to the ship adopting his family motto "Craignez Honte", which translates as "Fear Dishonour". The family crest is also depicted on the flag HMS Portland flies whilst carrying out replenishment at sea operations. All ships and submarines of the Royal Navy are affiliated to different towns, cities and regions. This strengthens the Royal Navy’s ties with important communities, including organisations such as naval associations, youth groups and charities. HMS Portland is no different and enjoys close ties with the Irish Guards, the Royal Wessex Yeomanry, the Dorset Chamber of Commerce, and local cadet organisations such as Bournemouth School Combined Cadet Force and Sea Cadet unit TS Penn, based on the Isle of Portland. Whilst in Portland, the ship will be open to the general public on Saturday, 16 February from 1.00pm to 4.00pm. This is a chance for visitors to learn more about life on the ocean waves and what it is like to live and work onboard a warship. Admission is free. 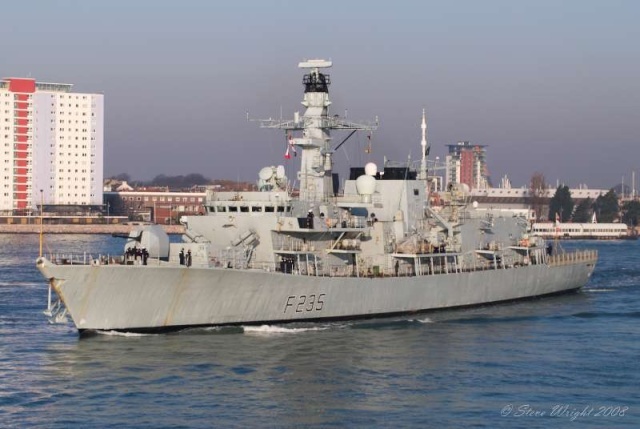 The Commanding Officer of HMS Portland, Commander Mike Utley, will host a lunch for local and civic dignitaries on Saturday, 16 February and among the guests will be the Mayor of Weymouth and Portland, Councillor David Harris, and the Mayor of Portland, Councillor Tim Monro. 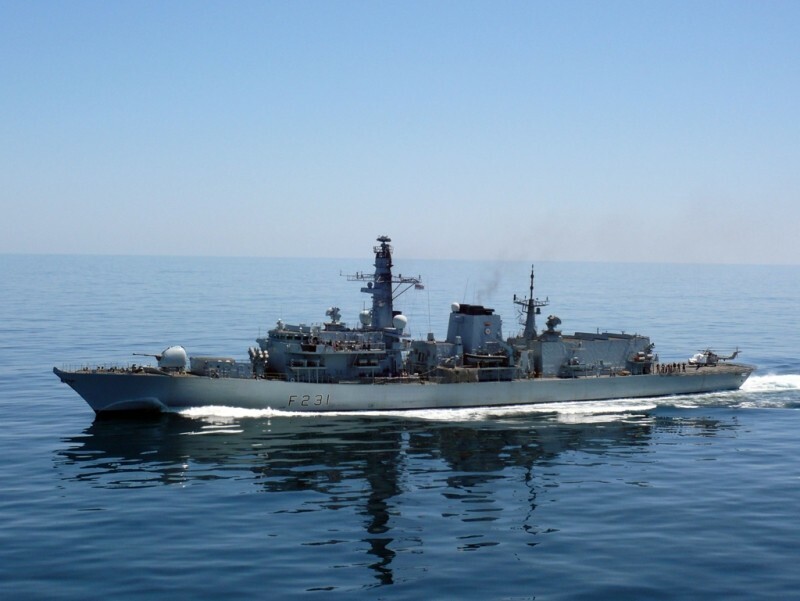 Undoubtedly one of the highlights of the four-day visit for the 180-strong crew will be a chance to host groups from schools throughout the region as well as potential recruits to the Royal Navy from Bournemouth, and Plymouth. Pupils from Budmouth Technology College, Weymouth College and Clayesmore School will be given a unique demonstration of the capabilities of HMS Portland, one of the Royal Navy’s most advanced warships. Portland returned home at the end of last year after a six and a half month deployment to the Caribbean and North Atlantic. The ship provided humanitarian relief to Belize in the aftermath of Hurricane Dean and prevented a total of seven tonnes of cocaine reaching its intended markets during drug interdiction operations. The ship will spend the next few months in UK waters, undergoing intensive training and a maintenance period in preparation for another deployment towards the end of this year. Powerful and versatile, with the capability to operate anywhere in the world, the Type 23 Frigate is the mainstay of the modern surface fleet. The 13 Type 23 frigates form 50% of the total Frigate/Destroyer force in the Royal Navy. Originally designed for the principal task of anti-submarine warfare, they have evolved into multi-purpose ships with the capability to operate anywhere in the world. The effectiveness of these ships is enhanced by their stealth design, which reduces their radar signature significantly. In addition to the war-fighting roles described above, the ship is trained to conduct a wide range of other tasks. These include embargo operations using boarding teams inserted from the ship's boats or helicopter, disaster relief work and surveillance operations. 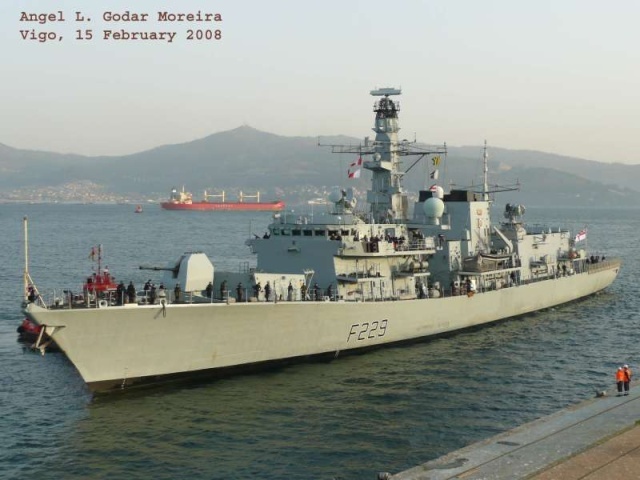 HMS Lancaster (F229) in Vigo (Spain), 15-02-2008. HMS Iron Duke (F 234) - Portsmouth harbour. 18-02-2008. HMS Monmouth (F 235) departing from Portsmouth Naval Base on the 18th February 2008. HMS Westminster (F237) on a visit to Malta on 22/02/2008. HMS Iron Duke (F 234) passing the Round Tower, Portsmouth on the 25th February 2008. HMS Northumberland (F 238) on a rare visit to Portsmouth on the 29th February 2008. 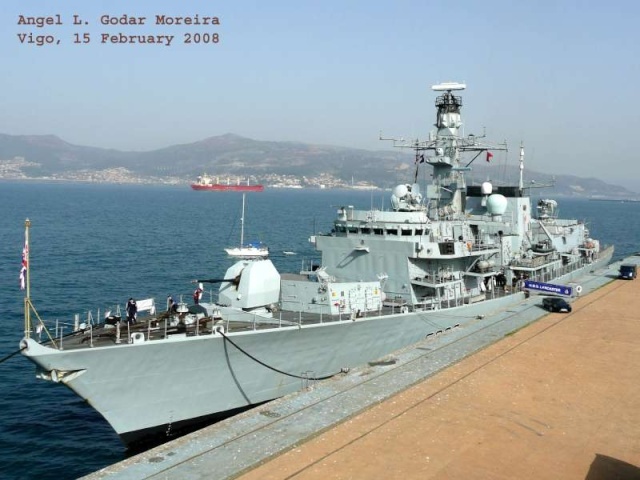 HMS Montrose, a Devonport-based Type 23 Frigate, is due to deploy tomorrow (Friday 7 March) on deployment to the Middle East from HM Naval Base Devonport. In preparation for the deployment the ship has been put through her paces by Flag Officer Sea Training staff, more commonly known as FOST, based in Devonport. The training included rehearsing for tasks likely to be conducted during the deployment. For instance, over the last few weeks her ship's company have conducted the following exercise scenarios: Protecting oil platforms from insurgents, boarding Dhows, rescuing asylum seekers and fighting off attacks from aircraft, ships and small, fast boats and providing humanitarian aid following a ‘typhoon’ which hit the exercise mock village in the naval base - all in a day’s work for a busy frigate! On leaving Plymouth the ship’s first stop is Gibraltar which will be familiar to a large number of the ship's company. This is only a short stop, providing the ship with the opportunity to top up with food. On sailing again the ship will contribute to the security of shipping and trade whilst crossing the Mediterranean before passing through the Suez Canal. HMS Montrose will be part of a coalition combined maritime force whose mission is to deal with tackling national threats, including international terrorism. Specifically, the force is charged with deterring terrorists and disrupting illegal activity at sea. The force conducts maritime security operations throughout international waters in the Arabian Gulf, Arabian Sea, Gulf of Oman, Gulf of Aden, Indian Ocean and the Red Sea. 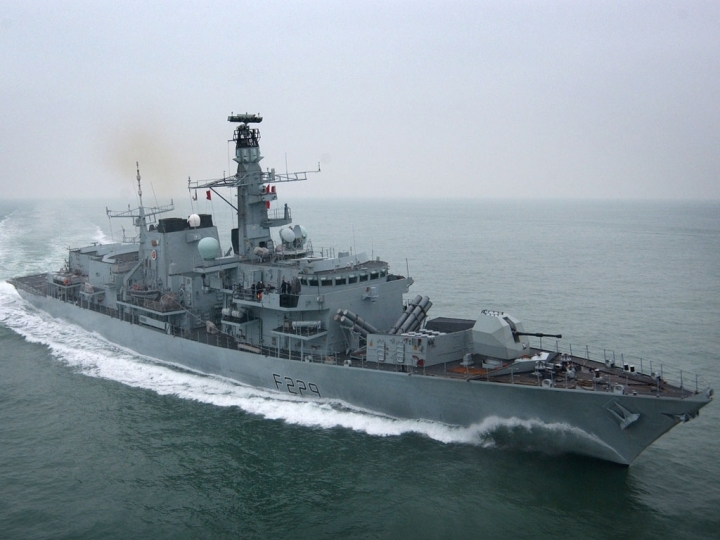 Devonport-based HMS Northumberland is back at sea for trials and training following an extensive maintenance period. The maintenance included upgrades to the navigation systems, steering gear and sonar, as well as routine maintenance. Over the next few weeks the ship’s company will take part in a variety of trials and training serials ranging from fire and flood exercises, gunnery practices and man overboard exercises. The maintenance gave the chance for the ship’s company to take part in training ashore at Royal Navy’s training establishments. A number of the ships company were given the opportunity to take part in the many types of adventurous training on offer to Royal Navy personnel, 15 of whom took part in the Royal Navy Ski Championships at Les Menuires, France. Ten of the ship’s company are taking part in Exercise Blue Hole which is a diving expedition to Dahab, Egypt. The ship’s sport teams continue to take part in a busy fixture list and will be preparing for return matches when the ship returns to her home county of Northumberland later in the year. 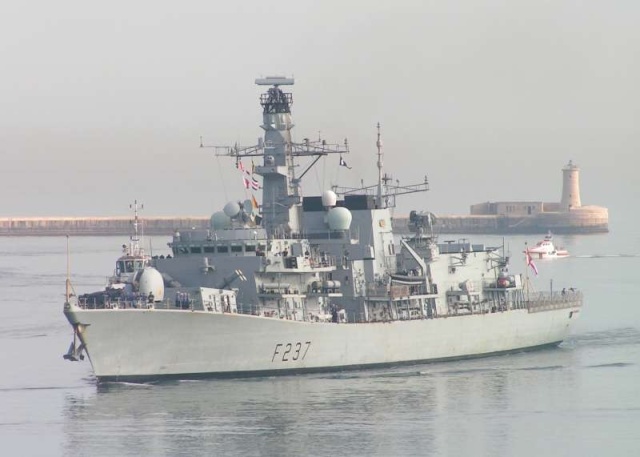 HMS Northumberland will be busy undertaking operational sea training in June and July where the ship’s company will be trained and assessed by the Fleet’s Operational Sea Training (FOST) staff prior to deploying later in the year. The Ship has been at sea for much of 2007 so the last few weeks of the year were dedicated to giving her some TLC in what we call a ‘Fleet Time Support Period’. Some maintenance can be done whilst we are at sea but there are certain jobs that can only be done alongside. The Ship's maintainers work alongside dockyard workers, both Naval and civilian, to complete a list of jobs that will prepare the Ship for her next tasking. There is much to be done and not much time! This is also an opportunity for the Ship’s Company to take some well-earned time off, undertake professional training courses and enjoy going home to their family each night. At the beginning of the year, the Ship provided a platform to train future Principal Warfare Officers for their job of fighting a ship from the Operation’s Room. These ‘sea weeks’ were the culmination of several weeks of simulator based training for the students. The Ship’s Company and students alike were put through their paces with air-raids, anti-submarine exercises and boarding operations. Lancaster then headed up to Liverpool, to put her nearer to Lancaster’s home county and cement her links with the area. Lancaster’s Mayor, Councillor Helen Helme visited the Ship on her arrival in the dock. Football matches were played against local teams and Everton Football Club also paid a visit to the Ship. An Official Reception was held on board and the Ship’s Company was able to have a good deal of free time over the weekend to go and explore the City which holds the prestigious ‘European Capital of Culture 2008’ title. Every ship and submarine in the Royal Navy is affiliated to different towns, cities and regions. This helps strengthen the Royal Navy’s ties with communities and organisations such as councils, naval associations, youth groups and charities. HMS Lancaster has a range of affiliations across the North West, including: the City of Lancaster; the Duchy of Lancaster; The Queen's Lancashire Regiment; the Duke of Lancaster's Own Yeomanry; Sea Cadet units TS Duke of Lancaster, TS Galloway and TS Eskimo; the University of Lancaster; the Lancaster Royal Grammar School Combined Cadet Force; Blackpool’s Arnold School Combined Cadet Force and the Ship’s associated children’s charity “A Breath For Life”. The ship sailed from Liverpool across the Bay of Biscay to Vigo, Spain. The Bay is notorious for its rough weather but I am told that the crossing was relatively mild. The Navy provides excellent medical care and I was allowed time off to attend a medical appointment back in Portsmouth before re-joining the ship in Vigo. Whilst I was away, my cabin was used to accommodate one of the fathers who were sailing with the ship as part of ‘Fathers and Sons at Sea’ (FASAS). My Dad came to the last FASAS that took place in the Baltic and he declared it a wonderful experience. The Navy is such a unique career and without FASAS, it is very hard for our families to understand exactly what life is like for us. The Ship hosted another reception in Vigo and more free time was granted to allow the Ship’s Company to explore the foreign port. Many people had not heard of Vigo prior to visiting as it is a relatively quiet fishing port; the place had much to offer including the usual bars and clubs where people can let their hair down. In addition, we were able to sample some authentic tapas – delicious! With our latest foreign adventure over, the Ship is back in Portsmouth, preparing for when we next have to go back to sea. We will also have two weeks off for Easter leave – although we work very hard at sea, the Navy is very generous with its leave and no civilian employers really compare in terms of the number of days off that we are given. I am looking forward very much to spending some time with my family and friends – plus some long lie-ins! The Royal Navy warship, HMS Argyll, has hit another milestone in her Middle East deployment, smashing her previous best on this deployment of a 30 day patrol in Iraqi waters by racking up over 50 days at sea between ports, possibly a record for any Type 23 frigate. Indeed, by the time the Ship berthed in Safaga, Egypt, in March 2008, she had amassed 52 days, or 7 ½ weeks, at sea since leaving Bahrain on 20 January 2008. 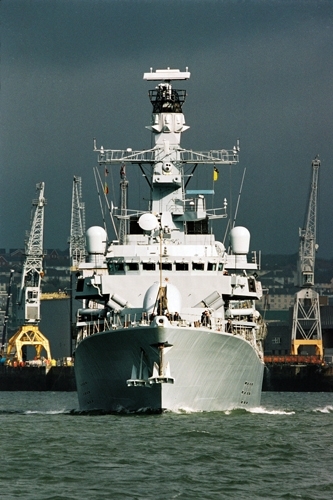 HMS Argyll deployed from Plymouth on 1 October 2007. 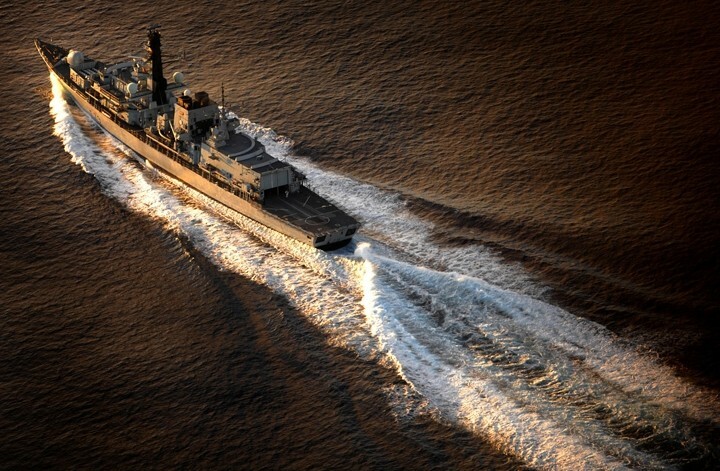 Since then, she has spent over 80% at sea, first conducting patrols and boardings as part of the Coalition task force protecting the Iraqi oil platforms and infrastructure in the Northern Arabian Gulf, and latterly supporting UK policy with operations in both the Arabian Sea and off East Africa. After visiting Safaga, the Ship will continue with patrols as part of coalition forces before returning to the UK later this year. 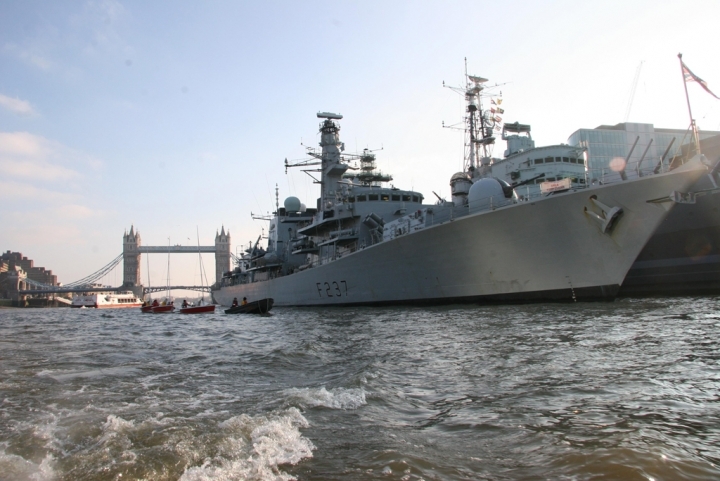 HMS Monmouth will visit Cardiff this weekend (13-18 March 2008) in a visit designed to reaffirm the strong links the Royal Navy warship already enjoys with her affiliated county of Monmouthshire. 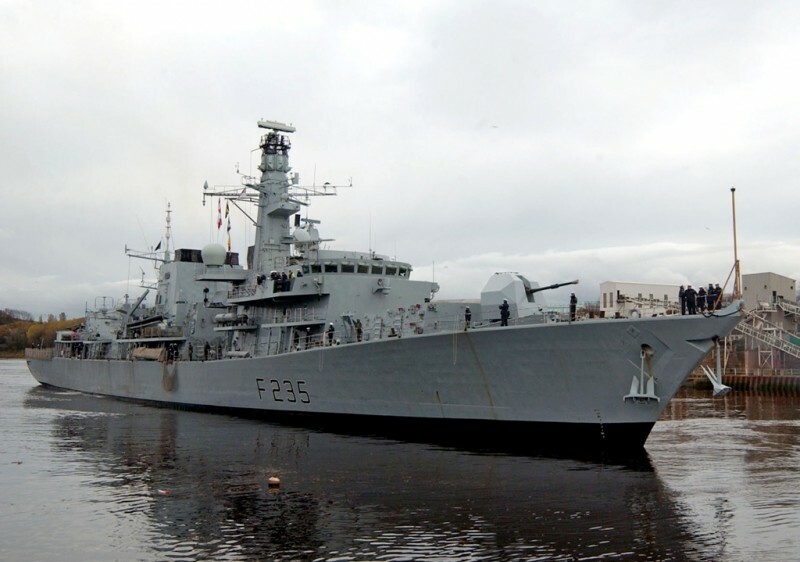 The 4,800 tonne Type 23 frigate will berth at Britannia Quay on Thursday and has a full programme, welcoming onboard a number of VIPs and local organisations throughout her four day stay, as well as exercising their Freedom of the Town of Monmouth. 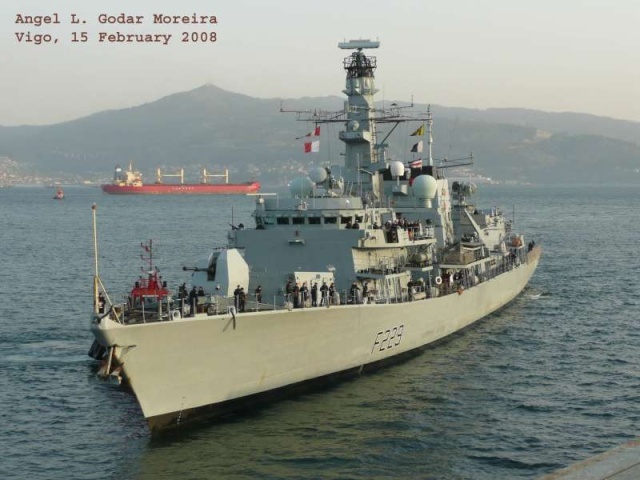 HMS Monmouth is no different and enjoys close ties with Monmouth Borough and Monmouth Town, as well as, amongst others, Monmouth School, the local branch of the Royal Naval Association, and Sea Cadet units TS Tenby (Pembrokeshire) and TS Ajax (Swansea). Her other military affiliations include the Royal Monmouthshire Royal Engineers and the Queen’s Dragoon Guards, based in Cardiff. One of the highlights of the five-day visit will come when 75 members of the Ship’s company will exercise their privilege as Freemen of Monmouth to march through the streets of the town. HMS Monmouth received the Freedom of Monmouth in 2002 and this will be the first time that the ship has exercised its right to parade. Whilst alongside Britannia Quay, the ship will be open to the general public on Saturday 15 March from 10.00am to 2.00pm. This is a chance for visitors to learn more about life on the ocean waves and what it is like to live and work onboard a warship. Admission is free. Other activities during their stay will see the 180-strong crew hosting a reception for around 120 guests on Friday evening, where the guest of honour will be the Mayor of Monmouth, Mr Terry Christopher. A number of the Monmouth’s affiliates will get the chance to spend some time both onboard and at sea as they sail with the ship from Cardiff to Plymouth on Tuesday, 18 March. The Commanding Officer of HMS Monmouth, Commander Tim Peacock, said: “I am delighted to have the opportunity to bring HMS Monmouth to visit her affiliated county for such a high profile visit. We crossed the globe last year and this visit will allow my ship’s company to share their experiences of life at sea with a wide variety of visitors, including our affiliates and members of the general public. Last year HMS Monmouth completed a global nine month deployment, visiting 28 ports in 19 countries. The aim of the deployment was to display the United Kingdom’s continuing commitment to global security and HMS Monmouth worked closely with a host of agencies in conducting her mission, including participation in four live operations. 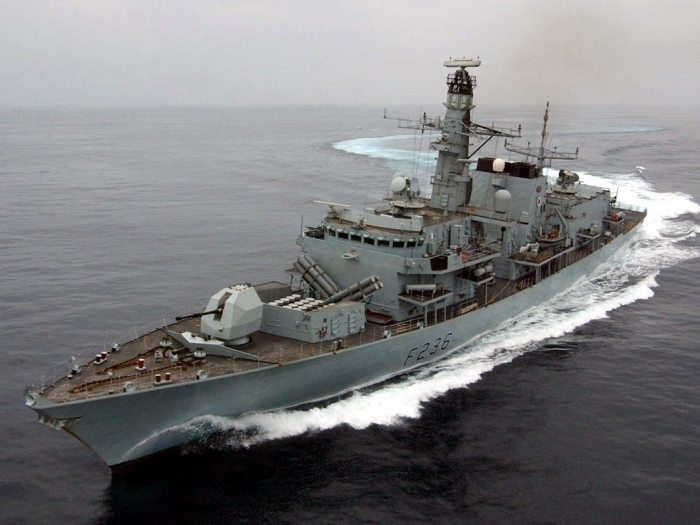 The first half of 2008 will see HMS Monmouth working around UK waters conducting continuation training, maritime security and a number of naval exercises before a maintenance period in Scotland. The effectiveness of these ships is enhanced by their stealth design, which reduces their radar signature significantly. In addition to the war-fighting roles described above, the ship is trained to conduct a wide range of other tasks. These include counter-terrorism and counter-piracy operations using boarding teams inserted from the ship's boats or helicopter, disaster relief work and surveillance operations. Members of HMS Westminster’s crew spent a day with their official charity, the Westminster Boating Base, during their recent visit to the Capital. The Boating Base was set up by the Duke of Westminster in 1975 as a children’s charity, teaching young people to sail, canoe and kayak in a safe, structured and nurturing environment. It operates on the River Thames from a base in Pimlico and provides access to water sports tuition for people of all ages. Activities take place on the tidal stretch of the River Thames above Tower Bridge. The Royal Navy sailors received instruction in the more traditional “canvas and sail” aspects of life on the water; a far cry from their roles on the modern Type 23 Frigate. Despite the cold weather, everyone involved had great fun and both military and civilian sailors enjoyed sailing with HMS Westminster as a dramatic backdrop. Prior to departure and in preparation for the Orion 08 deployment, HMS Westminster has been testing her Sea Wolf missile system off Portland in Dorset. 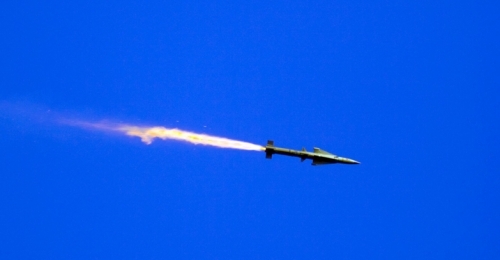 The point defence short range supersonic missiles were fired from its magazine silo, which houses a total of 32 missiles, at a target streamed some distance behind a Falcon aircraft. Each of the two tracking radars within the Sea Wolf system can independently fire a salvo of two missiles against different targets. The trackers are designed to operate autonomously, but for safety reasons a missile director controls the system under the watchful eye of the Principal Warfare Officer in the Operations Room. 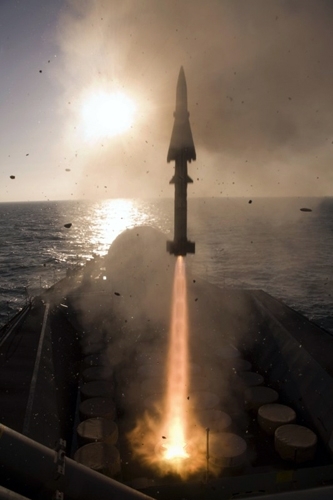 With an effective range in excess of 5KM, Sea Wolf is one of Westminster’s many lines of defence against incoming missiles or hostile aircraft. Once locked on, the engagement sequence can be over within 10 seconds as the missile travels towards its target at over 2000Km per hour. HMS Westminster’s highly skilled team continuously monitor and maintain the system to react immediately when it’s called upon. The system engineers comprise of a senior technician and two Petty Officer technicians who have all undergone extensive engineering training at the Royal Navy’s Maritime Warfare School, HMS Collingwood. Together with the finely tuned Operations Room team, they make formidable opposition to the most up-to-date air threats.